Governor Patrick outlined his plan at the William J. Ostiguy High School, a recovery high school in downtown Boston this morning. 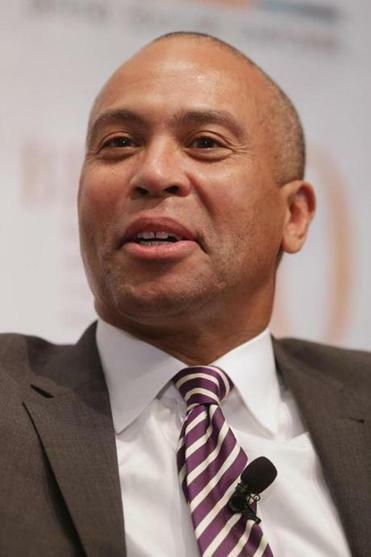 Governor Deval Patrick unveiled plans Tuesday to upgrade treatment for opioid addicts, expand insurance coverage, and coordinate with the other five New England governors to stem an epidemic that has claimed hundreds of lives in Massachusetts since last fall. Key elements of the $20 million plan, which could create hundreds of new treatment beds, target the needs of adolescents and young adults, who made up about 40 percent of clients treated in fiscal 2013 by the state’s Bureau of Substance Abuse Services. Among other recommendations, developed by a task force created in March, the state would provide four more residential treatment programs and five home-based programs to serve teenagers and young adults. “These actions will help enhance our network of treatment and recovery services to help communities and families struggling with addiction,” said Patrick, who unveiled the plan in Boston at William J. Ostiguy High School, which supports adolescents struggling with substance-abuse issues. The governor also announced that New England governors will meet next Tuesday at Brandeis University in Waltham to discuss a regional strategy to confront a crisis that transcends state borders. An attorney argued that the tight restrictions would discourage doctors and pharmacists from wanting to use the drug. In January, Governor Peter Shumlin of Vermont devoted his entire State of the State address to the opioid epidemic. And in Rhode Island, state officials have acted swiftly and aggressively since large clusters of overdoses and related deaths began increasing early this year. Cheryl Bartlett, the Massachusetts public health commissioner, said the plan reflects a “heightened level of awareness” among families, government, and law enforcement officials across the state that more needs to be done. Many of the additional programs proposed by Patrick would require legislative approval for funding, and the state Senate has put forward a parallel plan. From 2000 to 2012, fatal opioid overdoses increased 90 percent in Massachusetts, according to the state Department of Public Health. But deaths appeared to rise dramatically beginning last fall, prompting cities and towns to urgently develop a response as overdoses accumulated in often-unprecedented numbers. “This is a wave of a crisis that is coming across the country,” Bartlett said by phone. Hard-hit regions and demographic groups are addressed in Patrick’s plan. In one example, a detox facility would be created in Franklin County, which has no such service now. Addicts and others struggling with substance abuse in that sparsely populated county, which borders Vermont, often forgo treatment rather than travel elsewhere for help. In other efforts to fill gaps in services, the task force recommended creating a family residential treatment program and two adult residential facilities that would give priority to Hispanic people and single adults with children. The recommendations also push for a mandatory level of treatment that private insurers should cover. To reach that goal, the Health Department, state Division of Insurance, and state Health Policy Commission will undertake a thorough review of current coverage. Patrick said he has heard “story after story” from patients whose private insurers have told them to look for coverage instead with MassHealth, the state’s insurance plan for low- and moderate-income residents. The plan would also create a central database, accessed through a toll-free number, that provides a real-time inventory of beds and other treatment resources. Many counselors complain that they call facilities over and over, often every day, only to be told that no beds are available or to call back for clients who need help immediately. Another key recommendation, Bartlett said, is to develop state regulations that help reduce the diversion and misuse of prescription painkillers, often cited as a gateway to heroin addiction. Under Patrick’s emergency declaration in March, physicians are required to register with the Prescription Monitoring Program, which can provide doctors with a history for patients, some of whom might try to “doctor-shop” and stockpile opioids quickly from different prescribers. One drug that Patrick has targeted is Zohydro, a new opioid painkiller that critics say is dangerously potent. The state banned the drug in April, but US District Court Judge Rya Zobel overturned that prohibition, saying the state had no authority to ban a drug approved by the federal Food and Drug Administration. Patrick’s administration responded by placing new restrictions on Zohydro, such as requiring doctors to prescribe the drug only when all other treatment remedies fail. On Tuesday, lawyers for Zogenix, the maker of Zohydro, called on Zobel to strike down those restrictions. Zobel said she would consider the case. The task force recommendations call for an aggressive campaign to educate the public about the drug epidemic and encourage discussion about an illness long branded with a stigma that discourages some users from seeking help. “I hope this work results in more families talking openly about issues of addiction in order to spark the process of healing and recovery,” Patrick said. Merrigan, the Franklin County register of probate, said awareness of the scope and signs of the problem is crucial. Some of Merrigan’s family members have been afflicted by addiction, he said. “From what I’ve seen personally, you can get blindsided by this because you don’t know what the signs are. You don’t know what to look for,” Merrigan said. The task force also called for enhanced counseling and treatment programs for inmates, particularly those preparing to leave prison and rejoin society. That would include additional money to expand the use of Vivitrol, a drug that can be self-injected to reduce dependence on opioids. Joanne Peterson, founder and director of Learn to Cope, an organization that offers support to families of substance abusers, called the plan an important step forward, particularly its emphasis on tightening the distribution of prescription opioids. • Fentanyl heightens a heroin crisis in R.I.
• Drugs-for-guns traffic troubles police in Mass., Vt.
Milton Valencia of the Globe staff contributed to this report. Brian MacQuarrie can be reached at macquarrie@globe.com. Correction: An earlier version of this story incorrectly described the use of the drug Vivitrol.